Lugarde Laren Log Cabins: The Lugarde Laren Log cabin is a ideal for most gardens, this attractive modern flat roof log cabin is presented as standard with One Double Door which is Double Glazed and the wall thickness is 44mm or 68mm. This Lugarde Laren Log Cabin offers a good sized cabin space which can be used in many ways including studio, office or outdoor entertainment area. 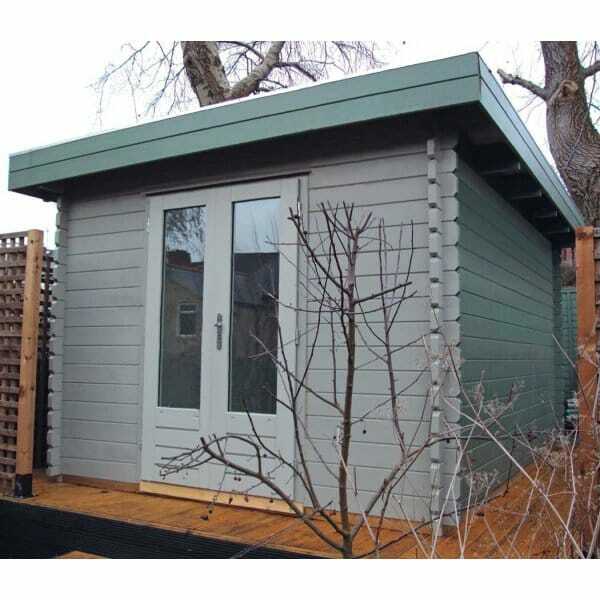 The Lugarde Laren Log cabin is available from Simply Log Cabins.